A first platform, at INRIA Rhône-Alpes Grenoble, is equipped with a 68 color camera system and a 20 camera motion capture system. It allows the capture of moving shapes such as human walking of running. The space-time models produced encode geometric information (3D surface) and appearance information (textures) over time. A second platform, at Grenoble Hospitals, is equipped with 2 X-ray cameras and 8 color cameras. It allows the capture of internal information (Xray attenuation) on moving body parts in addition to external shape information. 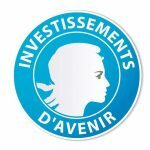 The KINOVIS project is funded within the “Equipements d’Excellence” framework of the French program “Investissement d’Avenir”. The Kinovis equipment and facilities are aimed at producing visual data on moving shapes, such as human bodies, for the analysis, the interpretation and the synthesis of real dynamic objects. The associated research themes cover several scientific domains including computer vision, computer graphics, anatomy and biometry, and intensive computation. The platforms are open to researchers, academics, artists and industrials who wants to acquire their own space-time (4D) models of dynamic shapes. Access conditions are to be discussed and specified in an agreement with the INRIA. Do not hesitate to contact us for more information. Requests can also be addressed through the platform request form. Some of the datasets acquired with the Kinovis platforms and the former Grimage platform, are available for download. Please check the 4D repository website to find out which 4D models can be obtained. Some of the softwares developed for the Kinovis platforms are also available for download (LucyViewer and QuickCsg). Please check the software links in the top bar menu for more information.